In Hayao Miyazaki's animated masterpiece, based on the book by Diana Wynne Jones, journey beyond imagination and enter a "breathtaking fantasy world" (Kenneth Turan, Los Angeles Times) filled with adventure, humor and heart. Sophie, a quiet girl working in a hat shop, finds her life thrown into turmoil when she is literally swept off her feet by a handsome but mysterious wizard named Howl. The vain and vengeful Witch of the Waste, jealous of their friendship, puts a spell on Sophie. In a life-changing adventure, Sophie climbs aboard Howl's magnificent flying castle and enters a magical world on a quest to break the spell. 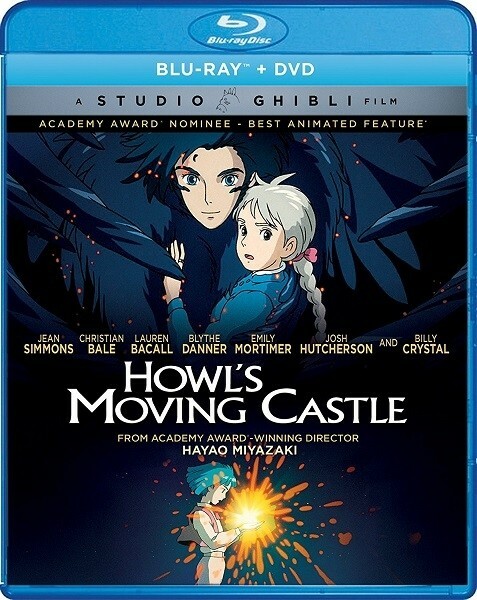 Featuring the voice talents of Jean Simmons, Christian Bale, Lauren Bacall, Blythe Danner, and Billy Crystal, Miyazaki's artistry comes to life on DVD with inventive characters, unique storytelling and richly detailed animation. Like a dream, Howl's Moving Castle carries audiences to vistas beyond their imaginations where they experience excitement, adventure, terror, humor, and romance. 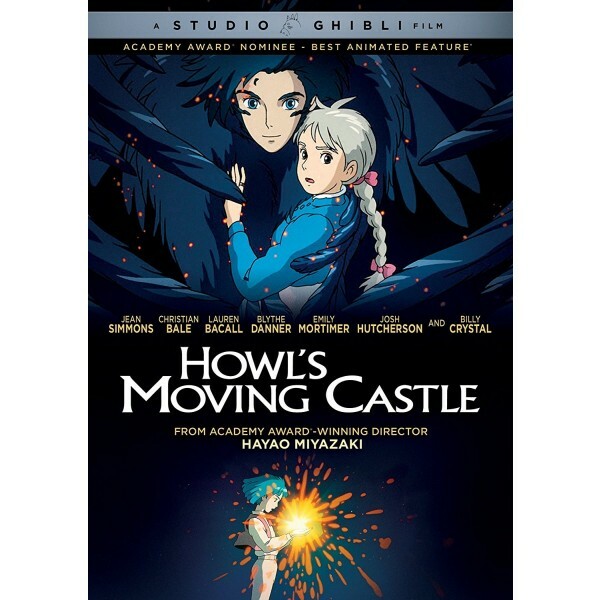 With domestic box office receipts of over $210 million, Howl passed Miyazaki's Princess Mononoke to become the #3 film in Japanese history, behind his Spirited Away and James Cameron's Titanic. 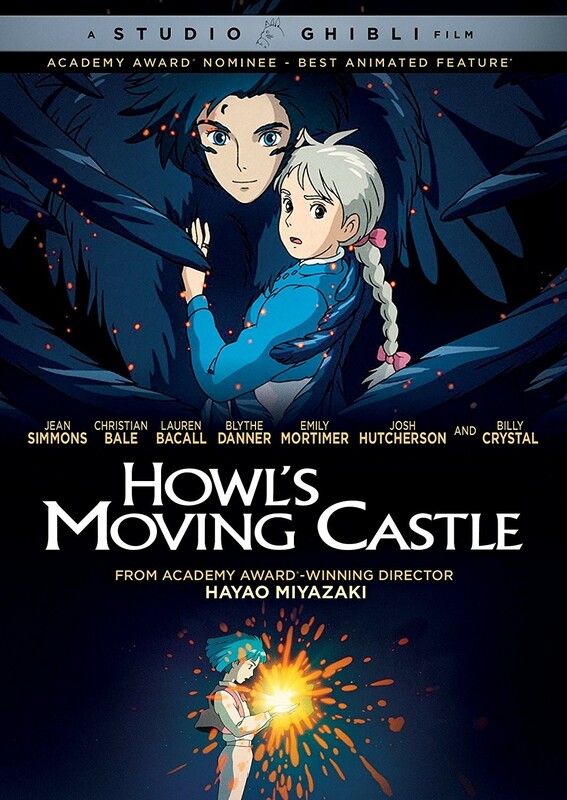 Based on a juvenile novel by Diana Wynne Jones, Howl's Moving Castle marks the first time Miyazaki has adapted another writer's work since Kiki's Delivery Service (1989). Sophie, a 19-year-old girl who believes she is plain, has resigned herself to a drab life in her family's hat shop--until the Witch of the Waste transforms her into a 90-year-old woman. In her aged guise, Sophie searches for a way to break the Witch's spell and finds unexpected adventures. Like Chihiro, the heroine of Spirited Away, Sophie discovers her hidden potential in a magical environment--the castle of the title. Using CG, Miyazaki creates a ramshackle structure that looks like it might disintegrate at any moment. Sophie's honesty and determination win her some valuable new friends: Markl, Howl's young apprentice; a jaunty scarecrow; Calcifer, a temperamental fire demon; and Heen, a hilarious, wheezing dog. She wins the heart of the dashing, irresponsible wizard Howl, and brings an end an unnecessary and destructive war.